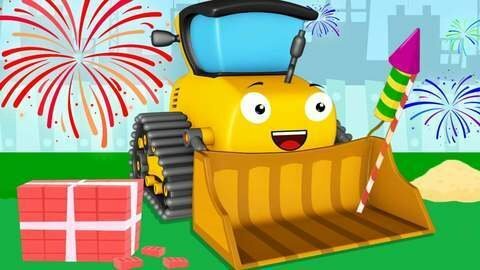 The Bulldozer gets even with the playful Mixer truck in this car cartoon episode for boys. The Bulldozer is peacefully sleeping but the playful mixer truck wakes him up and throws nails on him. The Bulldozer tries to get even and the Mixer truck doesn’t suspect a thing until fireworks explode on his mixer. Visit SeeZisKids.com today and see more full episodes of car cartoon for boys and girls.